The 2GIG Go!Control is a wireless self-contained alarm system designed for deluxe integration of security and automation control. It supports up to 60 wireless zones using sensors that operate at a frequency of 345 MHz. A cellular radio can be added for accessing Alarm.com. Buy the GC2 here. The 2GIG GC2 (also known as the Go!Control) is a wireless self-contained alarm system designed for deluxe integration of security and automation control. The panel itself is a color touchscreen display keypad with a built-in siren. There is a backup battery and a 14VDC transformer included (no cable included). The panel supports 64 4-digit user codes and up to 60 wireless security zones across Honeywell and 2GIG 345 MHz protocols. This includes smoke/heat detectors, door/window contacts, motion detectors, etc. There are also two hardwired zones that can be wired directly to the panel. These zones can be programmed as Normally Open (NO) or Normally Closed (NC). The GC2 panel is also robust Z-Wave controller which supports up to 232 Z-Wave devices! The mother company, Linear, is the largest manufacturer of Z-Wave devices in the country. So you can imagine the versatility this system has when it comes to integrating automation control for your home and/or business. Similar to the Honeywell LYNX Touch series, Go!Control supports IP and Cellular signaling paths via communication modules that are purchased separately. This allows you to customize your system depending on the communication path that best fits your needs. If you plan to do phone line monitoring you will need the 2GIG GC-POTS module. Internet monitoring requires the Go!Bridge IP Communicator. The Go!Control panel communicates wirelessly with the Go!Bridge using the 2GIG XCVR2 900MHz Transceiver (Sold separately). Then the Go!Bridge plugs into your internet router using an ethernet patch cable. You will need both devices in order for the panel to transmit signals via the internet connection. For cellular and dual path monitoring, you will need to install a cellular communicator. In fact, the Go!Control panel supports more cellular carriers than any other system on the market today: Verizon, AT&T, Movistar (Mexico) and Rogers (Canada). Each carrier has its own specific communicator which can be found on the cellular communicator page. How Do I Turn Off Arm-Confirm on a 2GIG Go!Control Alarm System? How Do I Program the 2GIG SMKT3-345 to the 2GIG GC2? Can I Download the Firmware for a GC2 Alarm System? Great, we will be able to better answer all of these questions over email. 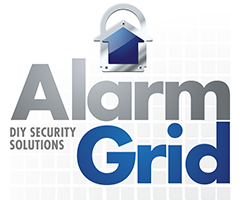 Could you send these inquiries to support@alarmgrid.com?